Cultured Cocktails has raised more than $110,000 for hundreds of local artists and art projects! Please join us for drinks and conversation at Boheme Cafe & Wine Bar on Thursday, December 6th, when a portion of the proceeds from all drink sales during the 5:00PM -8:00PM happy hour will go to support the artist entrepreneurship program: Artist INC-Houston. So enjoy a drink or two, meet the Artist INC team, fellow Artist INC alumni, and take-in Boheme's bohemian atmosphere! The proceeds from the evening will support an Artist INC scholarship which will help provide program access to those who might otherwise not afford to participate. So please don't be shy to raise a glass (or three) while raising funds for Artist INC-Houston. First launched in Kansas City, Artist INC is a cutting-edge training seminar that addresses the specific business needs and challenges artists of all disciplines face every day. Limited to 25 participants per session, artists gather for one night a week for eight weeks to learn business skills specific to their art practice and apply those skills cooperatively with their peers. Using an innovative class design, artists learn and grow together through artist facilitator mentoring, small group application activities, as well as large group discussion and multi-media lectures. 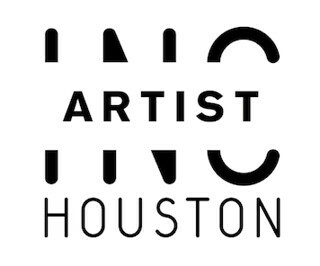 2019 marks the third year of Artist INC-Houston, powered by Fresh Arts. Selected participants are expected to attend all 8 sessions which will take place on Wednesday evenings from 4-7pm from March 13- May 8, 2019 with a break on April 10th. Sessions will be held at Frost Bank Financial Center, 1700 Post Oak Blvd., Houston, TX 77056. Applications for the 2019 program are now open. There is no fee to apply. Artist INC is open to artists and creative entrepreneurs of any discipline, from emerging through established careers. Applicants should communicate how the Artist INC program will support or strengthen their own business practice as well as show promise of participation in their local artist community network. Powered by Fresh Arts, Cultured Cocktails is a community building fundraiser in celebration of the arts and takes place EVERY Thursday during the 5:00-8:00PM happy hour at Boheme Café & Wine Bar (307 Fairview St.). Each Cultured Cocktails event features a different local artist, arts organization, or arts project. Participating artists and arts groups receive 10% of all drink sales during the 5:00PM -8:00PM happy hour. Since its inception in 2008, the program has raised more than $110,000 for hundreds of local artists and arts projects! Fresh Arts is a 501(c)3 nonprofit that champions artists and creative entrepreneurs to succeed in the business of art. The Cultured Cocktails program is generously sponsored by Boheme Cafe & Wine Bar. A portion of the proceeds from all drink sales during the 5pm-8pm happy hour will go to support Artist INC.